Create your basic legal will today for free. Peace of mind shouldn’t cost you anything! 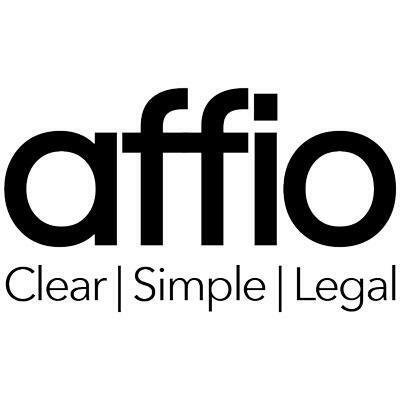 Making your will is simple with Affio. An online trawl revealed a host of cheap options including sample wills which can be filled in and downloaded, but I felt I needed a little more guidance than a simple downloadable form. I plumped for Affio, an online service that offers to hold your hand through the process of compiling a will including useful video guides on each section – how to choose executors or trustees and guardians for my children. Each part of the will was broken down into easily manageable tasks, which made the whole process pretty painless – less than an hour later I had downloaded my will and had it signed by witnesses and was wondering why I had put it off for so long. Tell us a few details about the important people in your life. Register the property that has the most value for you, either financially or emotionally, and who you share them with. Consider how you’d like to take care of your loved ones, and how you would like your estate to be distributed amongst them. Make it legal by simply downloading your will and following our simple instructions for signature and storage. We all know that making a Will is important and it’s not something we should keep putting off, but why? It is only by making a Will that you get to choose what happens to the things that matter to you. You get to decide who your estate will be left to and who will look after your children. We use bank levels of encryption provided by online security experts Norton to protect your information. We will never release your data to a third party. We are regulated by the Information Commissioner under the Data Protection Act. Your payment details are securely handled by our industry-leading payment services provider.